I decided on a budget of no more than $500 for a computer because my dad has a keyboard, mouse, and monitor. 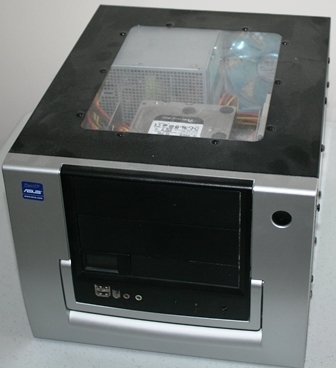 With all the hardware choices and kept it simple and decided on a Intel i3 processor, 4 GB of Ram, 500GB hard drive, CD/DVD burner, and all placed in a minitower case. I searched the web and found a HP Pavilion p7-1228 at OfficeMax for $454.88 before tax. I did some research and the reviews where not bad and the hardware specifications met and excided my requirements. I checked the availability of the computer and it was out of stock at the local OfficeMax. Since the closest OfficeMax is in the same location as Best Buy, I decided to take printout in hand and see if Best Buy can meet or beat this price for the HP Pavilion P7-1228. I was surprised when I walked into my local Best Buy, showed the sales representative the printout of the HP computer at OfficeMax, and was introduced to a computer that was more expensive and less features than the one at OfficeMax. I asked the sales representative “Don’t you price match other competitors offers?” The answer I received really blew my hair back. The sales representative could not find the exact computer so Best Buy could not match OfficeMax’s offer for a HP computer. Further discussion with the sale representative and another sales representative (who was asked to help) about finding a similar HP computer or any computer manufacture that has the same specifications as the one from OfficeMax lead to the sales representatives point to the same computer with less features and more expensive. I thanked them for their time and quickly walked out of the store. After a quick walk to a few stores further up from Best Buy, I entered my local OfficeMax store. Since I know this OfficeMax store does not have the HP computer, I talked to sales representative and explained that I would like to order the HP computer. I proceeded to follow the sales representative to the front of the store to place the order and was met with my next hurdle. The sales representative could not place the order because their ordering system is down. I was asked to come back tomorrow and they could place the order. Fast forward from Sunday to Tuesday. I found a OfficeMax that is on my way home from work. I stopped at the store Tuesday and stopped in my tracks at a table with previous models of laptops and computers. There was a Gateway DX4860-UM10P computer on the table for $429.88. Upon further inspection, the computer has the same specification as the HP Pavilion P7-1228. I did a Google search for reviews and read some mixed reviews but I felt confortable with purchasing the computer. I ended up purchasing the computer for $459.97. With the $15 charge from Microsoft to purchase Windows 8 Pro, I am within my budget of $500. Upon opening up the box and turning on the computer, I was greeted with a message “Unable to find a file in the c:windowssystem32 folder”. I called Gateway and greeted by a representative who tried to help me restore the computer. After about 10 minutes of troubleshooting, it was decided that I need the recovery disks. In order for me to get a free copy of the recovery disks, I have to fax (not email) the receipt, my name, my address, my phone number, and the computer serial number. I asked if there is a method to email the information to Gateway and I was met with the answer of no. We live in the digital age but at times we are shackled with old technology. I was also informed to call Gateway 24 hours after sending the fax. First off, what made me decide to take this bold challenge of purchasing, setting up, installing, supporting, and training my dad on how to use his new computer with Windows 8. Simple, it is a challenge. I am also curious about how easy or difficult the transition will be from Windows XP to Windows 8. Here is a little background on my dad. He has used computer since DOS 5.0 and has experience using Windows operating system up to Windows XP. Why you may ask that my dad never used Windows Vista or Windows 7? Simple, he retired. He is among many people has grown comfortable using Windows XP like person who wear their old pair of shoes. Yes those shoe my look ugly and worn but they are confortable. Who likes change? Not many people from those who I have talked to about Windows 8 and the inevitable end of Windows XP. For those people who are not aware, Microsoft will stop supporting Windows XP on April 8, 2014. What does that mean? It means that Microsoft will stop producing security updates for Windows XP. Some people told me that they would keep using Windows XP after Microsoft stops producing security updates. I explain to those people who plan on using Windows XP after April 8, 2014 with this thought. Consider unlocking and leaving open your front, rear and garage door and walk away from your house. This example would be the same as using Windows XP after April 2014. How can that be? All the people who create malicious code that ends up as a virus will have an easy time exploiting computers using Windows XP. I have people tell me that my anti virus program will find those viruses and remove them. My answer to that statement is maybe but people still get viruses on their computer with a supported operating system. What options do I have? 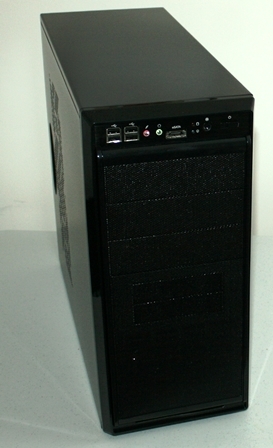 A person can upgrade their computer to Windows Vista, Windows 7, or Windows 8 (released on October 26, 2012). Which leads me to my challenge. Discussions with my dad about upgrading his computer to Windows 7 or Windows 8 have ended with great resistance. This got me to think of why is he so resistant to using Windows 7 or Windows 8. With more discussions and questions the answer became clear, he is confortable with Windows XP. He has his computer configured so all he does is turn on his computer and he is able to access his web sites and programs. I have started this blog entry as a journal of my experiences so other people can follow my success or failure of getting my dad a current computer with a current Microsoft operating system. I have been interested in Windows Home Server since the product was released in 2007. My first attempt to use Windows Home Server was on my birthday in 2008. I purchasing a HP MediaSmart Server EX 470 which ended in failure. I returning the HP MediaSmart Server EX 470 within 30 days. I kept reading posts from We Got Served and listening to the podcasts from the Home Server Show which peaked my interest to build a computer and using it as a Windows Home Server. I have been running the same setup up to this week with no hardware issues but one complaint. The complaint is the limited amount of space to add more hard drives. I have reached the maximum amount of hard drives that I can add to the Apevia X-QPack which is 4 hard drives. During last year’s Black Friday sales, I purchased from Newegg.com a Corsair Enthusiast Series CMPSU-650W power supply and a Rosewill Blackbone Black Steel/Plastic ATX Mid Tower Computer Case. I finally set aside some time to replace the power supply and computer case. 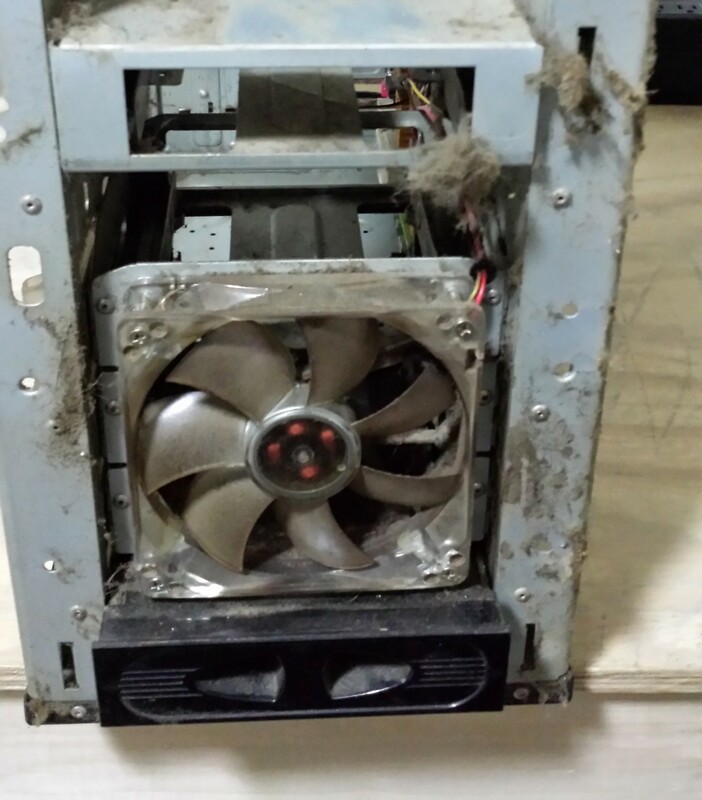 I will begin a series of articles about my experiences upgrading the computer case and power supply to my Windows Home Server.